Hey, I am frostflare. The Icewing queen, I made you one of the Guardians. Welcome, if you have any questions then ask admins, mods, or leaders that can help you around. Make sure to read the site rules, and to make you character sheet to get to know you. Well, welcome, and eat bananas. You already know me, so no reason to explain. Why hello there! 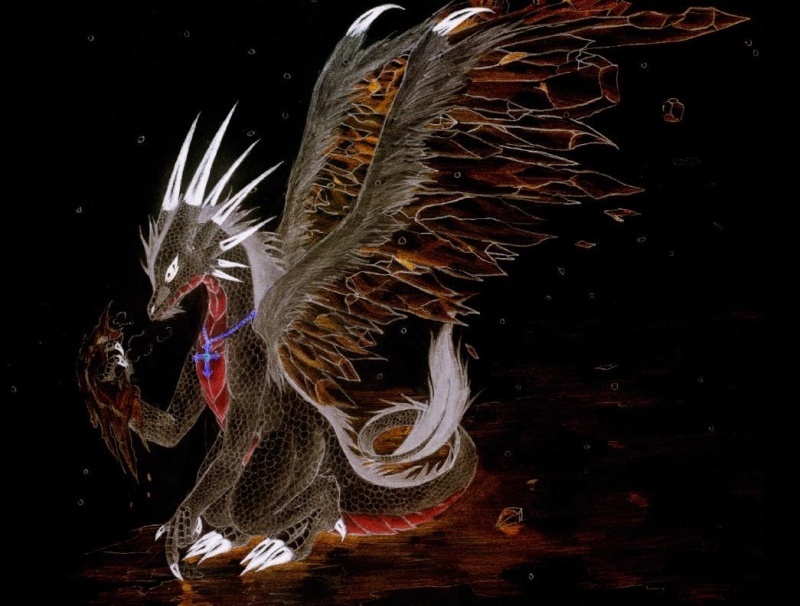 Welcome to the site~ I wish you have an excellent time here on Dragons Role Playing Forum! Your profile picture looks very cute by the way and I guess I will see ya around! Yea! Another member! Welcome! So, I'm MoonShade-Nightwing Tracker and Shadow Melder-but you can call me Moon. As well as Shiningwater-Seawing healer, mate to the King, cake demolision expert, and one of the mods here-but you can call me Shine. So, if you have any questions-which it sounds like you might-ask away and we'll try to answer them. Aslo, Love your profile pic! Huge HTTYD fan here! "You wish to hurt my friends? I'm sorry, I can't let you do that. You still wish to try? Go ahead. I can guarantee you won't make it." "There's...something else...inside me. You wondered why I don't say anything? It's so I don't kill you." Welcome to the site! I am Snowflar, Icewing gaurdian/tracker and Chosen One (moderator). I love the profile picture, it is sooooo cute! If you need help ask Me, Phantom, Kazumi, Enz Zziio, or Shiningwater, or any other members who are active! Hope you have a good time!